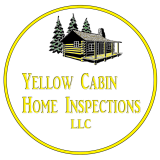 Yellow Cabin Home Inspections - Get Involved. Make Friends. Enjoy Motherhood. A MOD Moms (Dads) business. I provide home inspections to those in the process of purchasing a new home. All of my inspections include a free 90 day home warranty. I also offer radon measurement and sewer scope services. I have 20 years of experience in construction. Before becoming a home inspector, I was a residential remodeler. I love serving others by giving them peace of mind about their new home. *Home inspection rates are based on the MLS listed square footage of the home.